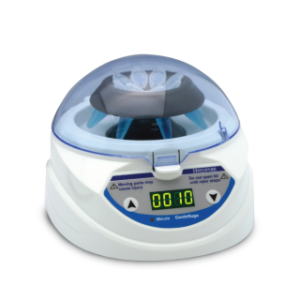 Categories: Table Top Series, Centrifuge. 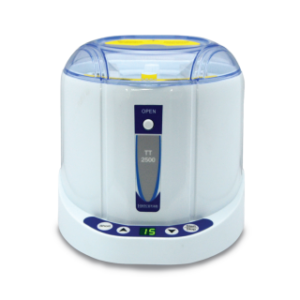 TT-15000/ TT-15000R High Speed Centrifuge are the new generation high speed benchtop centrifuges which meet the optimal functionality with medium capacity for molecular biology applications. 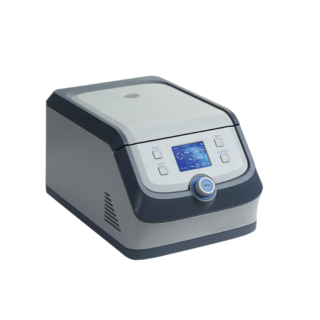 Built with 24-place capacity and maximum RCF of 21,400 × g, they are perfectly designed for centrifugation of samples in microcentrifuge tubes, PCR strip tubes and tubes up to 5.0ml. 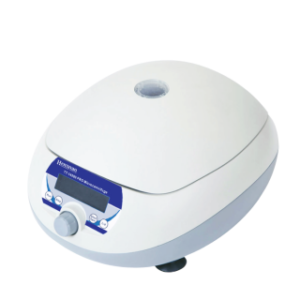 To maximise sample protection, both models feature soft brake function to prevent sample agitation. 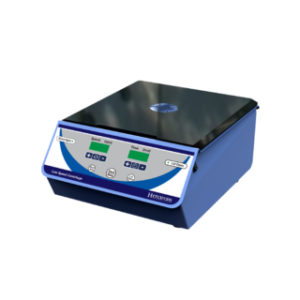 TT-15000R High Speed Centrifuge is a refrigerated benchtop centrifuge equipped with advanced cooling technology and precise temperature control which protects sensitive samples from degradation during centrifugation. The system allows efficient pre-cooling from 20°C to 4°C in 20 minutes, saving valuable time in sample processing. How to open the lid in case of power failure? Upon power failure while running, the lid will have to be opened manually. Wait until it has come to a full stop. Then, unplug the power cord. Pull the rod located behind TT-15000 to open the lid manually. For TT-15000R, use the unlock tool provided and insert into the hole at the front panel. What is the minimum speed increment? The speed can be increased in increments of 100 rpm. What are the maximum values for acceleration and deceleration times? The acceleration and deceleration time are both 15sec with soft brake off and 45sec with soft brake on. Soft brake function is to prevent sample agitation and protect sensitive samples. The rotors are fully autoclavable within 120°C. How do I balance my samples? If you only have one sample to run, make sure to put another tube with the same volume of water in the opposite hole. Balancing by mass is recommended if the density of sample and water is different. Check rotor holes for any spill or leftover residue from previous run. Always balance your samples because running a centrifuge with unbalanced load may lead to permanent damage of the centrifuge. How do we maintain the rotors and interior of the centrifuge? The rotors and interior should be cleaned on a monthly basis. Unplug the power cord and remove the rotor. Use a soft, moist cloth and neutral cleaning solutions (alcohol or alcohol-based disinfectant) to clean the rotor and interior chamber. For disinfection purpose, diluted 70% ethanol can be used. Do not pour water directly into the chamber. Any spill should be wiped immediately before using. After wiping or rinsing the rotor with clean water, leave it to dry before installing.